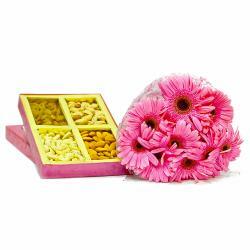 Product Consists: Bouquet of 10 Mix Gerberas along with Assorted Dryfruit Box (Weight : 500 gms). 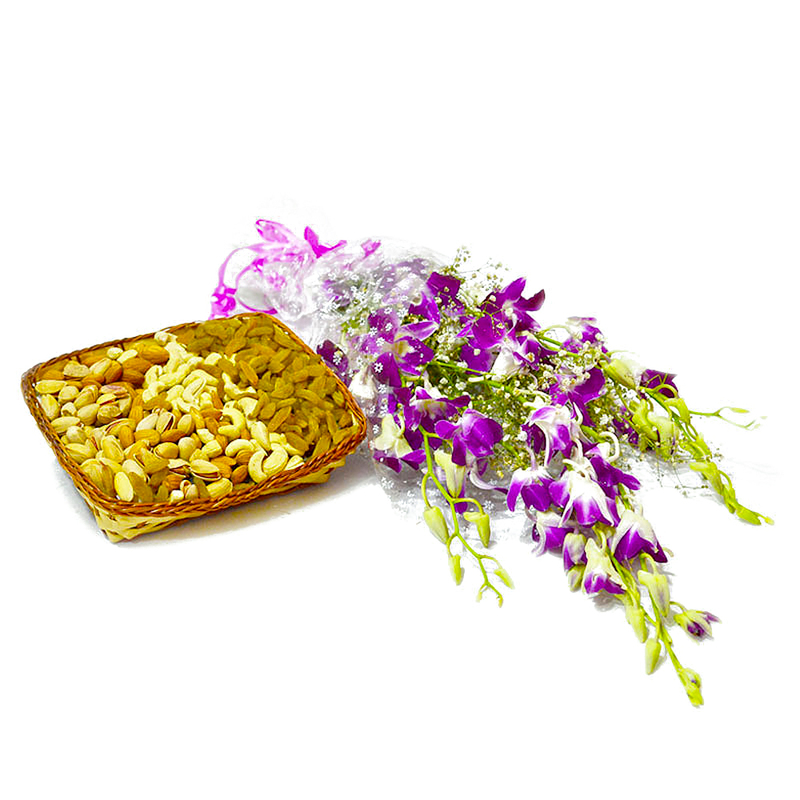 When you are far away from special dearone, conveying your love and affection is much easier with this lovely gift combo. No occasion is ever deemed special without beautiful flower Combo. 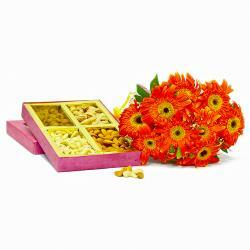 This combo comes with beautiful bouquet of ten gerberas teamed with mix dryfruit box. 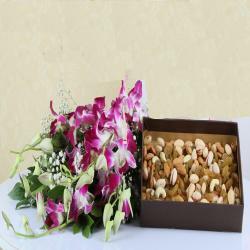 Make any special event even more memorable for your dear ones by choosing this gift hamper that reveals your feelings. Here is a gift combo which perfect for gifting the ones you adore on any gifting occasion such as Birthday, Anniversary, Karwa Chauth, Diwali, Valentines Day, Independence Day, Friendship Day. Also send this hamper for your loved ones along with other bewildering Gifts to India through Giftacrossindia and make your dear ones feel special. 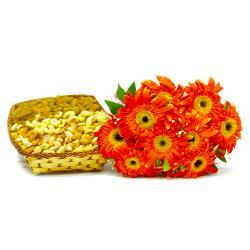 This gift hamper contains : Bouquet of 10 Mix Gerberas along with Assorted Dryfruit Box (Weight : 500 gms).